A few weeks ago, after spending way too long at an outlet mall (you can only wear the same clothes to weddings for so many years) I had a significant appetite. Home was a 30-minute drive away, and normal fast food wasn’t going to cut it. Besides, I wanted a giant beer. My only real option, right across the highway, was Buffalo Wild Wings. As with most casual dining chains, I found it loud, greasy and surprisingly expensive, and I didn’t know if I’d make it through my side of fried cheese curds. In the end, however, I did, and felt terrible — though also rather satisfied. Every couple of months, I crave this exact experience. I can’t really explain it. Once, when a friend visited town, I talked her into going to Chili’s with me so I could get a BBQ chicken sandwich and a terrible vodka cocktail mixed with Sprite and grenadine. I remember thinking that the alfredo pasta dish I always ordered at TGI Friday’s in high school was one of the best things I’d ever eaten. Even the foodstuffs loaded with fat and salt taste sugary at these places, as if every addictive ingredient known to humankind is specially incorporated into each order. Yet this slight infatuation with the downscale-upscale world of these deeply unhealthy all-American chains apparently puts me at odds with the rest of my generation. To hear the business oracles tell it, millennials are starving such restaurants out of existence by, I don’t know, cooking Blue Apron meals and ordering Chipotle? Also, uh, Instagram or something. You hardly see a mention of the Cheesecake Factory on Twitter unless it’s about the zany architecture. This week’s purchase of Buffalo Wild Wings for $2.4 billion by the same private-equity firm that owns Cinnabon and Arby’s is viewed as further evidence of the business model’s decline. 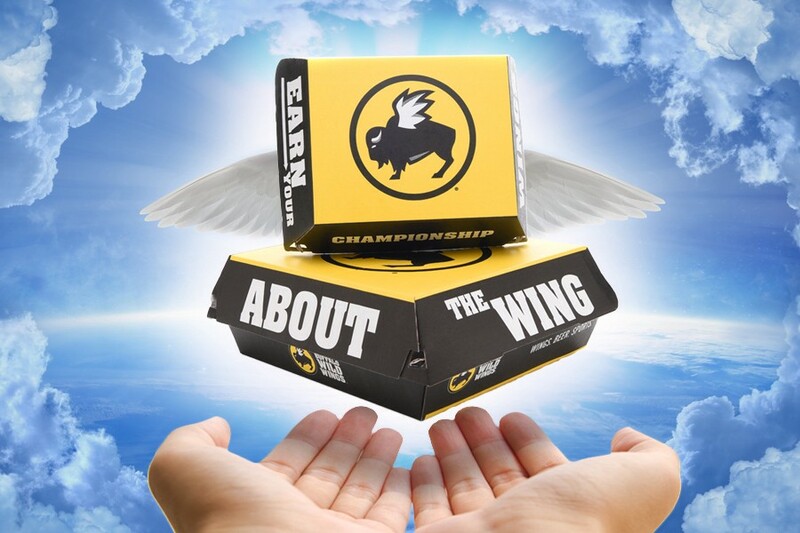 Most importantly, the Buffalo Wild Wings sale may be casual dining's last gasp. There are some chains with minor momentum, but an '80s and '90s model is antiquated in today's market. Some chains, like Applebee's, have given up on younger clients altogether and seem poised to ride their last holdouts among Gen X and early Millennials to the grave. But when modern dining is based on polar ends of experience — high-concept restaurants and free-form food trucks and carts — there isn't a whole lot of room for a doughy, inauthentic middle. Buffalo Wild Wings discovered this the hard way. You could argue that this is a good thing, or that it’s not fair to lash out at millennials for having decent taste and self-respect. Just the same, you have to wonder what comes next. There are tens of thousands of these places, and they can’t all be replaced with vape shops. Are we to forgo the vast mediocrity that lies between a meal of McDonald’s McNuggets and the kind of specialty bistros that serve ramen burgers? Will Midwest airports be the last resort for lovers of the Bloomin’ Onion? And what of the beautiful, sticky debauchery at Club Applebee’s? \When I picture a brave new world without these trashy franchises, I think of my uncle, who got angrier than I’ve ever seen someone get on a fateful afternoon when our family tried to eat out at Cheeburger Cheeburger but found it closed for renovations. We went somewhere else, but God bless him, he was still so mad — he’d had his heart set on that Cheeburger. Years later, we still talk about it! Maybe we shouldn’t be catering to angry white men when reshaping the culinary landscape of this country, but if we don’t give them somewhere to go, they’re just gonna show up at the trendy Neapolitan pizza spot and complain about how there’s kale on everything nowadays. In the long run, I want Red Lobster to survive, if only so suburban teens can know the horror of working Crabfest. I want Ruby Tuesday to endure so that grandparents have somewhere they can be “regulars.” And, of course, we need to preserve this kind of restaurant kitsch so that people of the future can understand Jennifer Aniston’s subplot in Office Space. Maybe it won’t dominate our strip malls anymore, but it will always remain a part of who we are — because we are what we eat, and what we have eaten. Perhaps, as with defunct retailers like Radio Shack and BlockBuster, this cholesterol-packed aesthetic will endure in the virtual realm. It’s just a shame that you can’t taste history.